This week’s Pro Football Weekly - Chicago Podcast comes to you from the NFL Scouting Combine in Indianapolis. 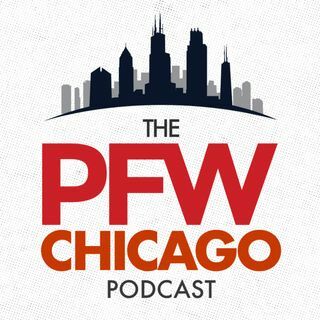 PFW Editor Hub Arkush and Chicago Bears beat reporter Bob LeGere will fill you in on their visits with Bears General Manager, Ryan Pace and new Head Coach Matt Nagy. Hub and Bob will also talk about how the Bears might address free agency which starts in 10 days, the Bears greatest areas of need in both free agency and the Draft and who the Bears might be targeting in free agency and ... See More who the best players available in the Draft might be when the Bears No. 8 pick rolls around assuming they don’t trade it.